Thornton Academy beats Falmouth in a battle of unbeaten teams, leaving little doubt the Trojans belongs at the top of Class A South. 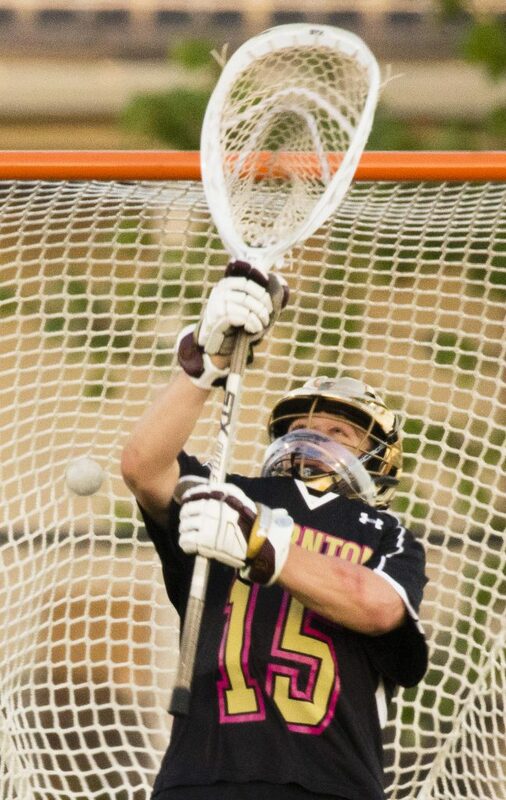 SACO — The road to the Class A boys’ lacrosse state title goes through Thornton Academy. 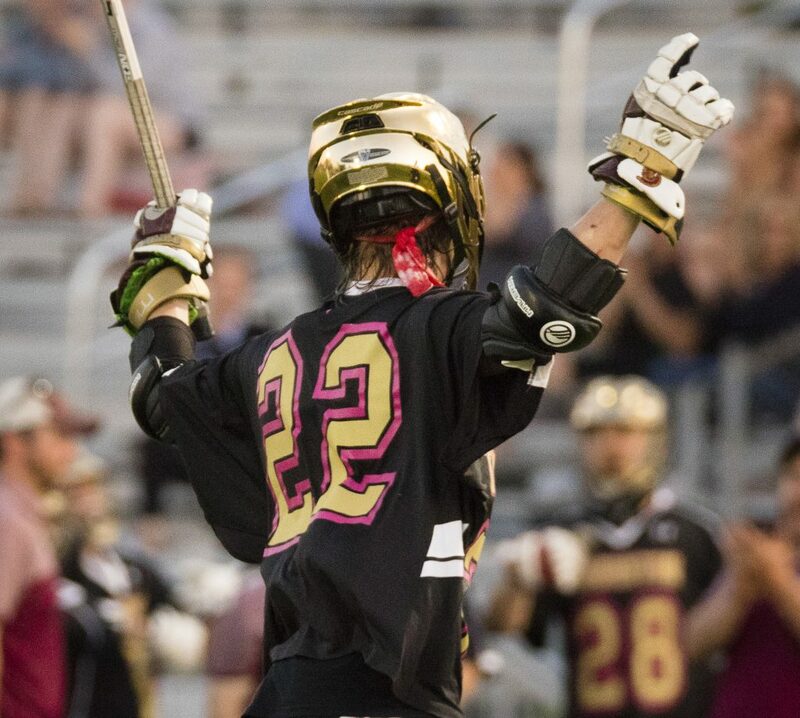 The Golden Trojans have made that loud and clear, and by night’s end Tuesday at Hill Stadium, Thornton Academy completely dominated Falmouth in a highly anticipated battle of unbeaten teams to earn a staggering 12-5 victory. 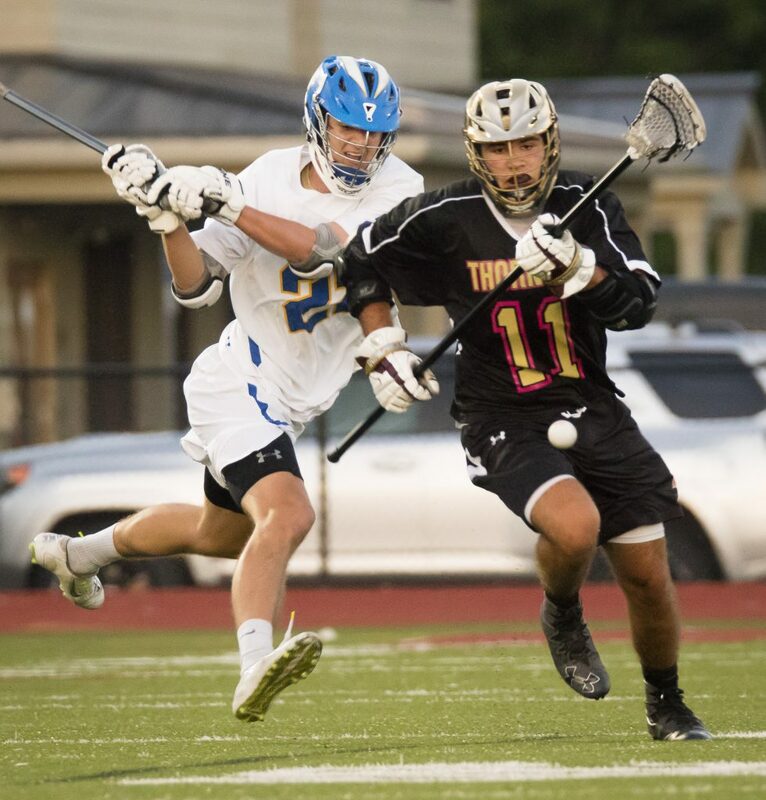 The Trojans got balanced scoring, led by Thomas Levasseur’s four goals, and had their way with Falmouth physically, twice holding the Yachtsmen without a goal for more than 12 minutes, as they improved to 11-0 and handed Falmouth its first loss in 11 games. The Golden Trojans came out strong offensively with goals from Levasseur and Noah Edborg before Nick Farnham and Lou Mainella answered for Falmouth. With 4:40 to play in the first period, Levasseur scored his second goal and Thornton Academy was on top for good. 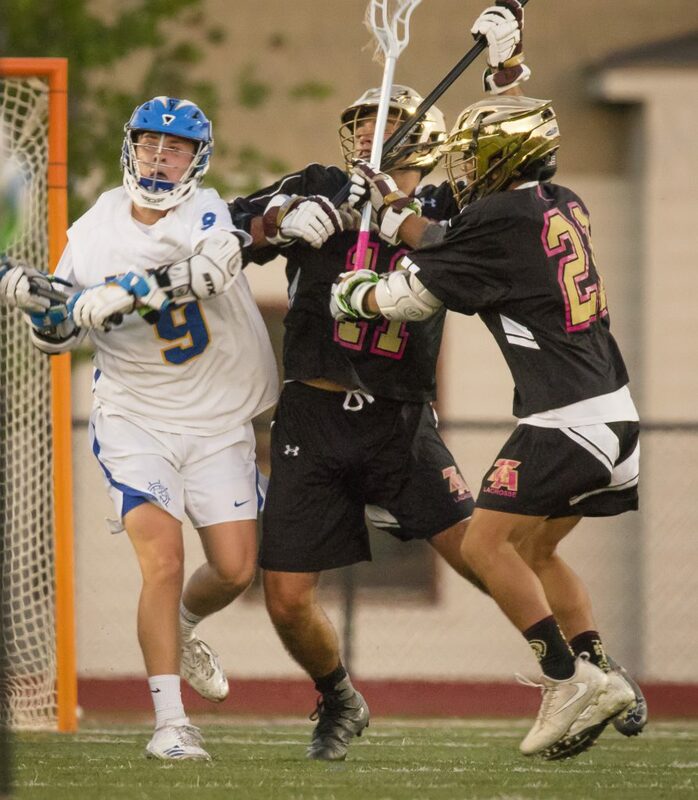 With their defense and goalie Ean Patry frustrating the Yachtsmen in the second period, the Golden Trojans opened up a five-goal advantage by halftime. C.J. Labreck scored twice and Nathan Varle and Jack Webb had a goal apiece to make it 7-2. Falmouth didn’t score the final 18 minutes, 14 seconds of the first half. When Farnham and Mainella scored early in the third period, it appeared a Falmouth comeback was in order, but Labreck and Wyatt LeBlanc answered before Henry Farnham scored with 13 seconds remaining to make the score 9-5 heading for the fourth period. There, the Golden Trojans’ defense pitched another shutout and two more Levasseur goals, followed by another from Edborg, put the finishing touches on the 12-5 victory. In addition to Levasseur’s four goals, Labreck scored three times, Edborg had two goals, LeBlanc had one goal and four assists and Varle and Webb added one goal apiece. Patry made eight timely saves. “This is huge,” said Hersey. 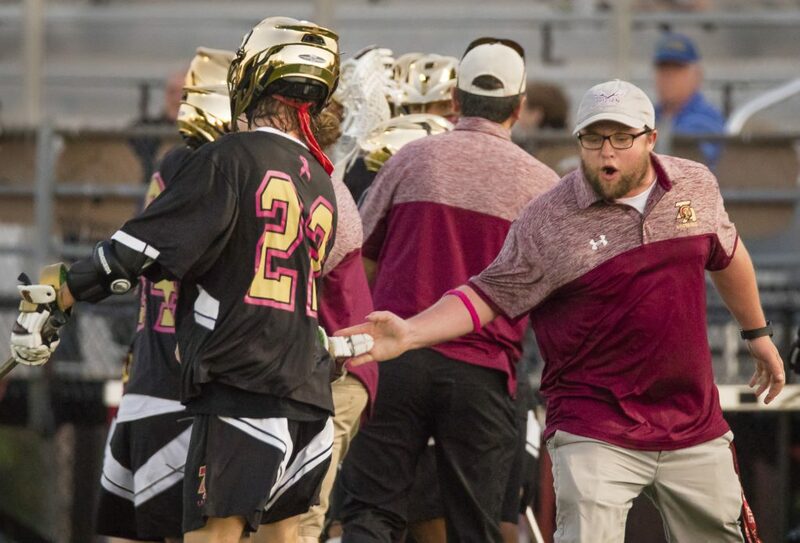 “We’ve never had an opportunity to say we’re at the top of Maine lacrosse. We’ve been in big games before, but these guys played almost perfectly tonight. Falmouth got two goals apiece from Mainella and Nick Farnham. Henry Farnham had one goal. The Yachtsmen committed an uncharacteristic 28 turnovers. 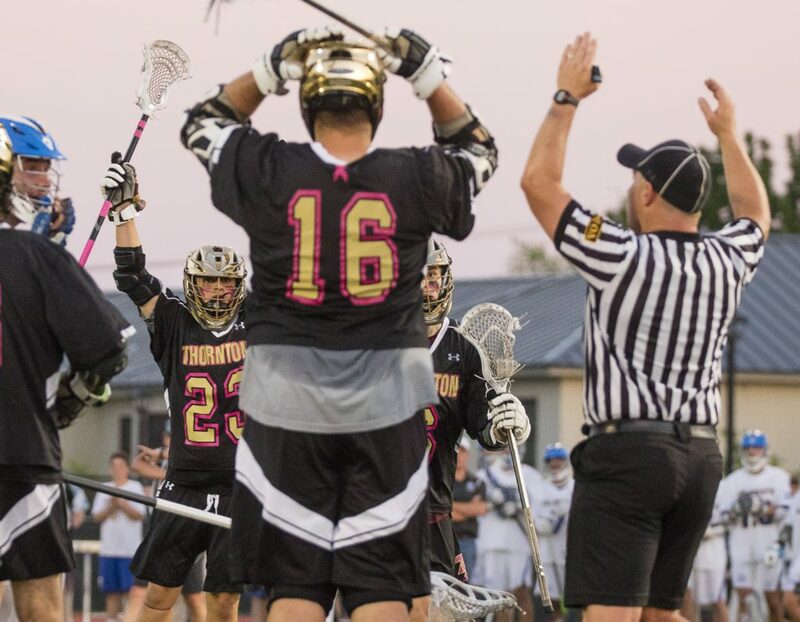 “We knew it would be a battle, but we turned it into a track meet and that’s not our game,” said Falmouth Coach Dave Barton. “Credit to (Thornton). They came out with a great game plan. It was just one of those nights.